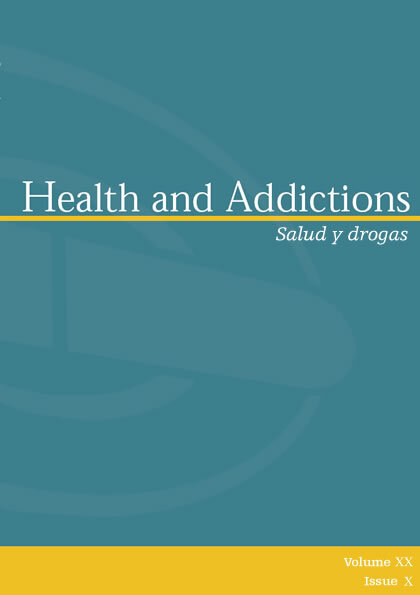 The journal was created in 2001 by the Drug Addiction Research Institute with the aim of promoting the dissemination of results on addiction research, as well as promotion and intervention in the field of health, using a wide-ranging and multidisciplinary approach. All published articles are governed by the terms of the license Creative Commons: Creative Commons Attribution-NonCommercial-NoDerivs 4.0 International (CC BY-NC-ND 4.0). Users can read, download, copy, distribute, print, search, or create links to the full text of this journal without asking prior permission from the publisher or author, as long as the original source and the authors are referenced and no commercial purposes . Creative Commons Attribution-NonCommercial-NoDerivs 4.0 International (CC BY-NC-ND 4.0).